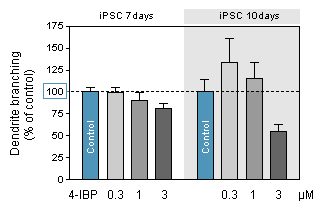 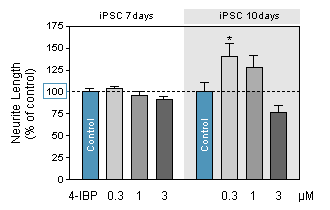 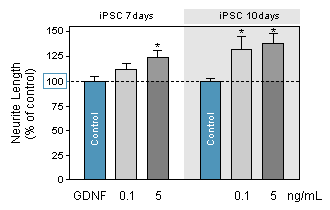 Synapse loss and dendritic atrophy are common in psychiatric and neurodegenerative disorders and they are strongly correlated with cognitive decline. 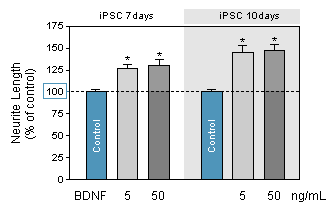 For example, synaptic loss in the hippocampus or cortex is an early and invariant feature of Alzheimer's disease. 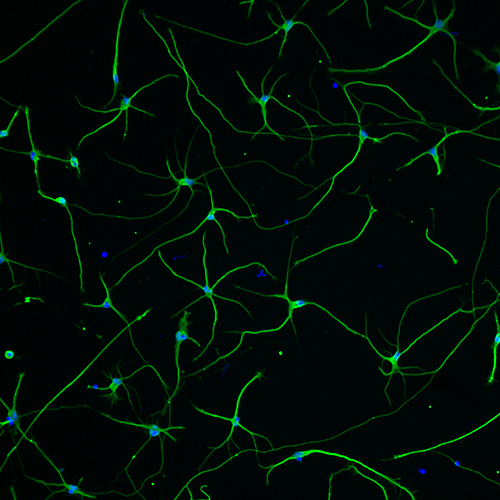 The role of synaptic and dendritic pathology in diseases affecting the CNS highlights the importance of drug discovery strategies to promote dendrite formation and growth. 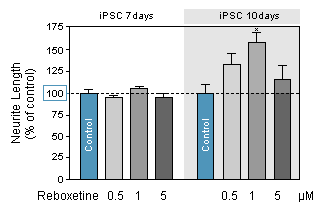 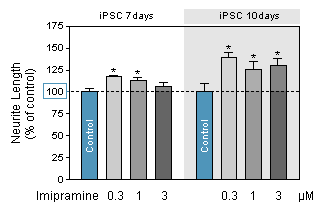 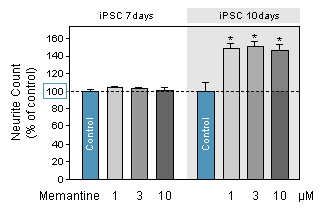 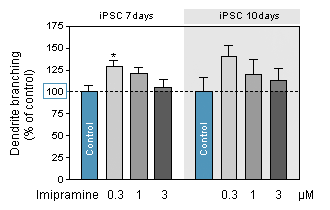 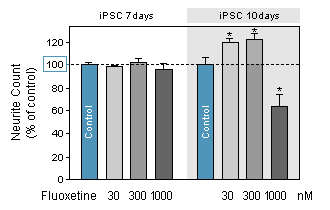 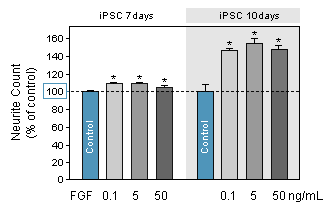 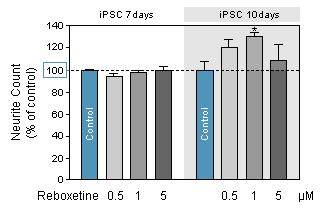 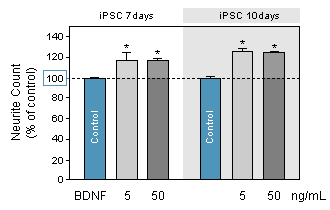 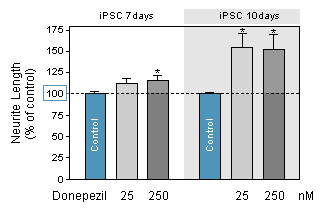 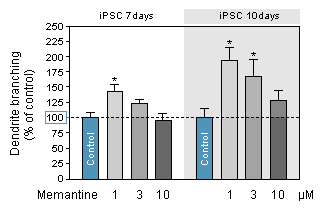 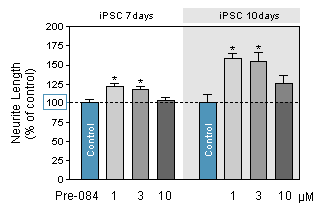 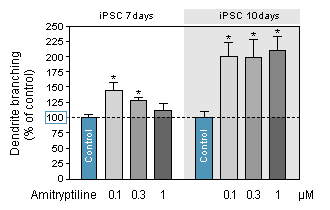 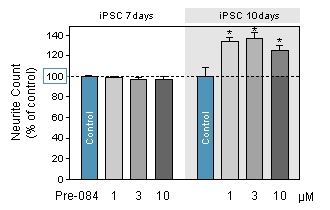 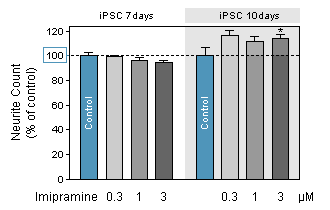 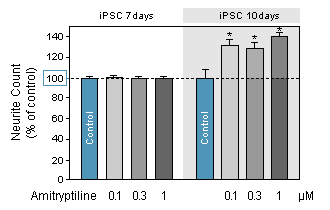 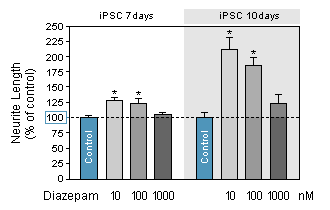 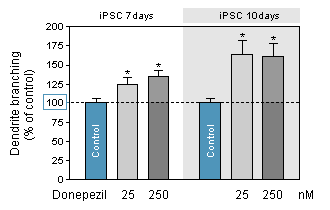 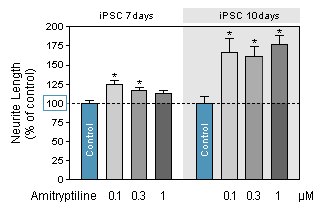 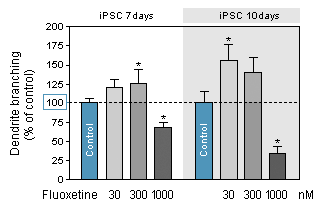 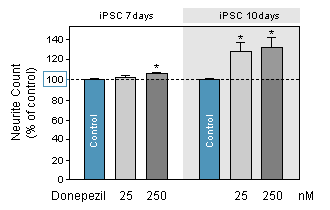 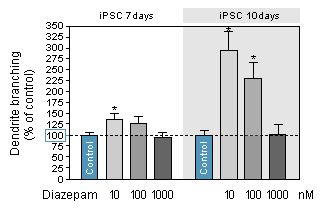 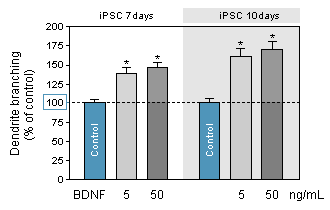 NEUROFIT offers Human iPSC Neurons-based screening to evaluate the capability of test compound to promote dendrite formation and growth. 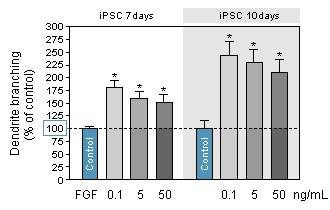 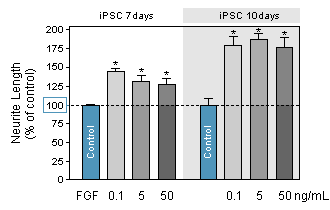 FGFs are a family of growth factors involved in neuronal survival and differentiation during development and adulthood. 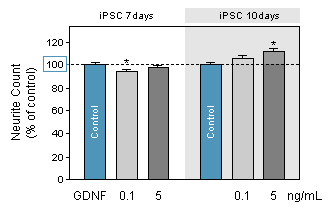 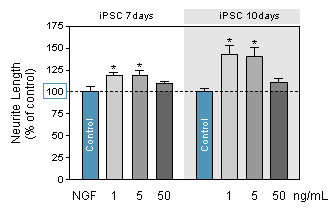 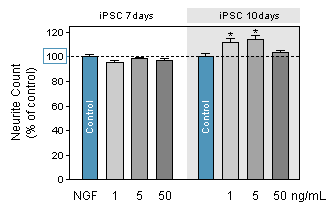 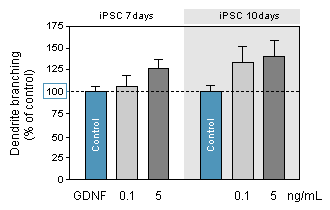 NGF is a neurotrophic factor and neuropeptide primarily involved in the regulation of growth, maintenance, proliferation, and survival of target neurons. 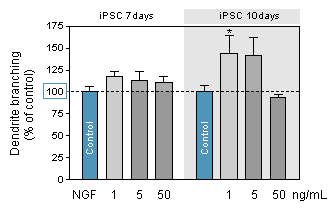 GDNF is a small protein that potently promotes the survival of many types of neurons. 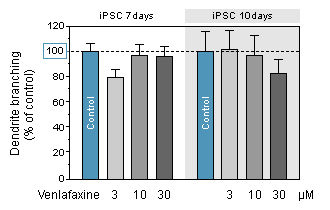 Fluoxetine (Prozac or Sarafem), a selective serotonin reuptake inhibitor (SSRI) is the most prescribed class of antidepressant. 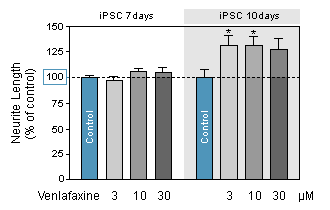 Imipramine (Tofranil or Melipramine) is tricyclic antidepressant (TCA) used to treat major depressive disorders. 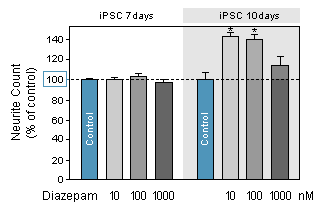 Diazepam (Valium) is a benzodiazepin used to treat anxiety disorders. 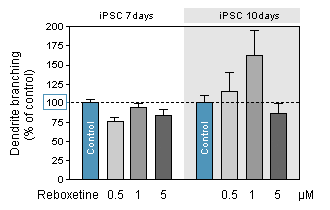 Reboxetine (Endronax or Prolift), a norepinephrine reuptake inhibitor (NRI) used to treat unipolar depression. 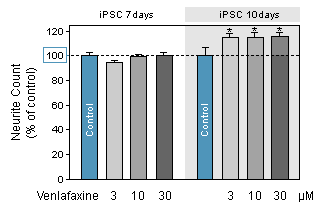 Venlafaxine (Effexor, Lanvexin, Viepax or Trevilor) is an antidepressant of the serotonin-norepinephrine reuptake inhibitor (SNRI) class. 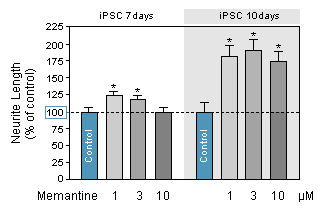 Donepezil (Aricept) is a centrally active small molecule used in the treatment of Alzheimer’s disease and different cognitive disorders.